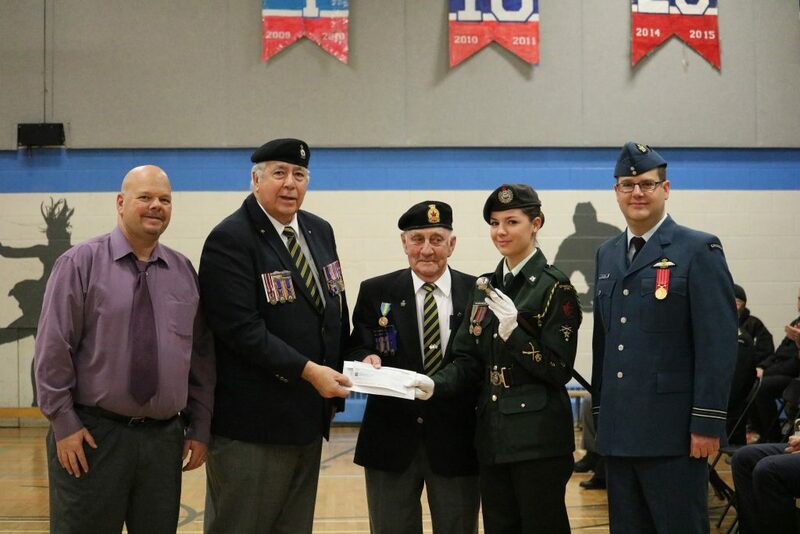 Arras-Chambly Branch in Carignan, Que., presents $1,000 to the Chambly army cadet corps. At the presentation are (from left) cadet support committee chair Stéphane Ratté, President Yves LaBarre, poppy fund assistant-director Roland Drouillard, CWO Laurence Dandurand and Capt. Jean-Philippe Poitras.